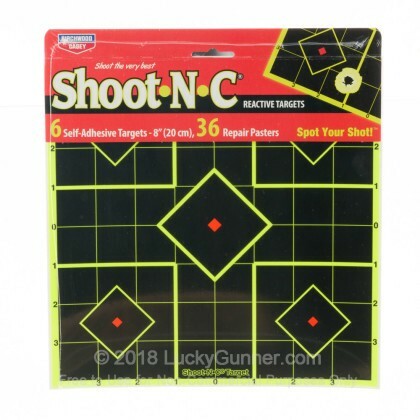 Shoot NC self-adhesive targets made by industry leading Birchwood Casey are an excellent training tool to help you hone your accuracy. Birchwood's patented technology causes the bullet hole to explode in fluorescent color providing instant feedback to the shooter. 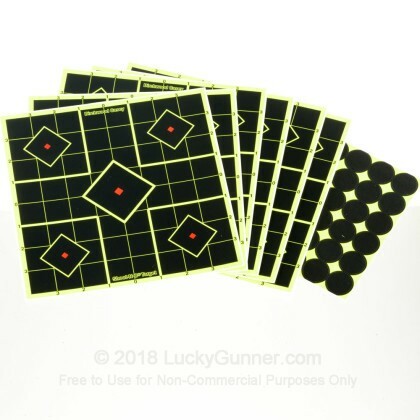 These self-adhesive targets are ideal for sighting in your rifle. 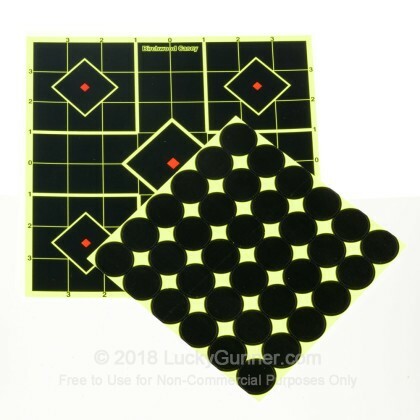 This kit features 6-8" self-adhesive sight-in targets and 36 pasters to extend the useful life of each target.